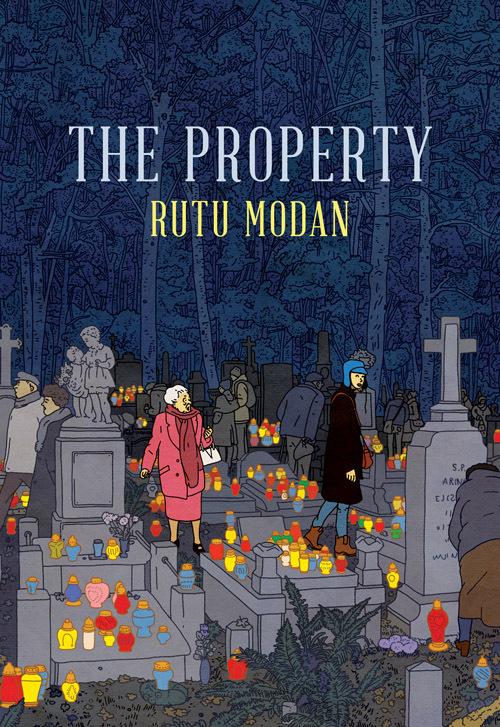 I recently finished The Property, the latest book by Rutu Modan, the graphic novelist responsible for one of my other favourite books, Exit Wounds. I love graphic novels, but they are sometimes self-indulgent and demanding. Modan’s books take difficult subject matter and make it often funny, sometimes oddly sweet, and always powerful. Modan’s art is meticulous, delicate and bright; I tend to barrel through graphic novels because I’m visually lazy, but with Modan’s work I have to slow down and savour and smile. This book feels like a dense, multi-coloured jewel. Mica insists on accompanying her grandmother Regina to Warsaw, where a mysterious family property is located and maybe is waiting to be reclaimed. It’s soon clear, though, that Mica doesn’t know what she’s gotten herself into, and that her understanding of her trip, her family and her grandmother’s past is partial at best. Regina is ornery and secretive, Mica is long-suffering and a bit stubborn herself, and along the way they meet a number of characters whose motives are suspect but who might be friends. Romance, both past and present, is an important part of both women’s stories, but their relationship with one another is what matters most: if Mica didn’t love her grandmother, her life would be a lot easier, but what are you going to do? I devoured this book in an evening, and now have to go back and read Exit Wounds again. Have you read either, or any of Modan’s other work? If so, what did you think? If not, what are you reading this week? 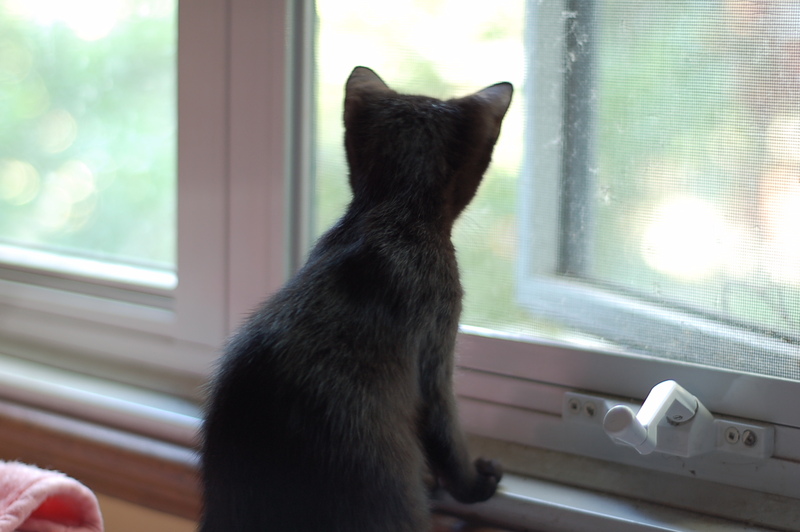 « Summer Book Club: What Are We Reading This Week? Just finished Stef Penney’s first novel (winner of the 2006 Costa First Novel Award) – The Tenderness of Wolves. Great read. As a Canadian, (living abroad) it engaged me from start to finish, kept my attention with the pace and tension, twists of plot development. Up next, a book gifted to me, Donna Tart’s The Goldfinch – it has also just won awards, so I’m curious if it lives up to what it has won. On third – going to try the author Junot Diaz for the first time, bought Drown – now just to round off some marking and making an exam, so I can get back to my “professional development”! Katherine: I don’t know Stef Penney, despite my Canadian-ness – what is the premise of her book? I began The Goldfinch as an audiobook a few months ago, but kept finding myself lost in its intricacies and bogged down. Friends of mine have loved it, though, so this is clearly a matter of taste; there’s no question she’s brilliant (The Secret History is one of my favourite books.) I took a stab at Diaz’s This Is How You Lose Her a few months ago, and this was another case where I could admire but not love: his protagonist upset me so much that I couldn’t read it. I know his flaws are the whole point, but it didn’t make it more enjoyable. Any helpful advice for overcoming this? Sharon: I think this might just be a matter of personal inclination. I don’t have a strong visual imagination and tend to skim descriptive passages, so graphic novels evoke things that I might otherwise miss, and let me concentrate on the characters and the story. Someone who enjoys being immersed in descriptive prose might naturally feel that graphic novels take some of the fun out of reading. I teach graphic novels often, and some students love them, but some don’t. In fact, some find them very difficult to read, as they don’t know how to process text and images together. I am currently reading through Divergent. I have heard it’s “all the rage,” though personally I don’t see much of a difference between it and The Hunger Games series. TNSS: I have had students tell me that I MUST MUST MUST read Divergent, so I’ll probably pick it up at some point, but I don’t feel strongly inclined. I loved the first book of the Hunger Games, and I’ve been told that Divergent is similar but less successful. I absolutely loved The Giver and have been meaning to pick up the rest of the series – that’s something I must add to my library list right now! I have not heard of Rutu Modan’s work, but I will put it on my list of books to explore. Right now I am re-reading a couple old favorites, always a good way to start the summer. One is My Antonia by Willa Cather. I recently took a driving trip through the Midwest. As I drove through Nebraska, Cather’s brilliant characters and descriptions kept coming to mind, calling me to explore her work again. Then, Maya Angelou’s death urged me to reread her I Know Why the Caged Bird Sings, so that book is now on my Kindle awaiting me to plunge again into her story and triumph. I trust I will get some great ideas in your blog of other books to add to my list! Thanks for hosting this book club. Just wish we could meet to share a meal, a drink, some chocolate while we chatted..
Patti: I read some Willa Cather in a 20th-cent American writers course in college, and have been meaning to get to My Antonia one of these days; I will note that. And you know, other than a poem here and there, I’ve read very little Angelou; maybe it’s time! My fourth grade students love graphic novels, but I have only read Ali’s by Nick Abadzis. Now I am reading The Mysterious Bendict Society and the Perilous Journey. It is the second in a series. I had to read the first for a class last summer and my son and I are reading the series now. MR: I haven’t read any of those; now I’m intrigued! Can you tell us something about them? Ali’s should have been Laika. My device auto corrected. It tells the story of Laike, the first dog in space. Mysterious Benedict Society are YA novels about gifted kids who use their very different gifts to work together and foil a villain. They all learn something about themselves and how to get along with others along the way.